One thousand miles across Alaska. No, it wasn’t me. I haven’t even been to Alaska. It’s on my bucket list, but haven’t gotten there yet (and when I get there, I don’t see a 1,000 hike in my future). This past December, I noticed a presentation notice that interested me in the back of the most recent Green Mountain Club magazine, under “News & Information.” Kristin Gates was speaking at the Green Mountain Club Visitor Center on December 21st. 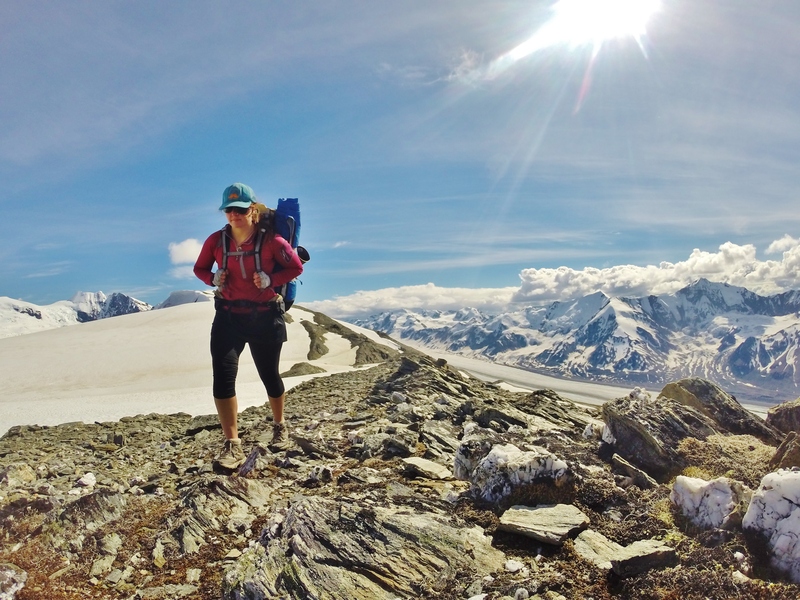 Kristin, at 26, was the first woman to trek solo across Alaska’s Arctic Brooks Range. There was no trail for this 1,000 trek from the Canadian border to the Chukchi Sea. I decided to make the drive to Waterbury Center for the evening presentation. Who wouldn’t like to hear stories of encounters with grizzly bears and wolf packs, clouds of blood-sucking mosquitoes, and even the migrating Porcupine caribou herd? It isn’t as riveting as forensic accounting, but it might still be interesting. Kristin did not disappoint. The upstairs room at the Green Mountain Club was standing room only. This was a surprise given the rainy weather. I found a seat in the second to last row in the far corner to dry out and take notes. Kristin grew up day hiking in New Hampshire and Vermont with her dad. Many of these hikes were on segments of the Appalachian Trail (“AT”). She thought that some day, after retirement, she’d like to through-hike the AT. Her second day of college, she met a girl who had just completed the AT. This got Kristin thinking that maybe she didn’t have to wait until she retired to through-hike. 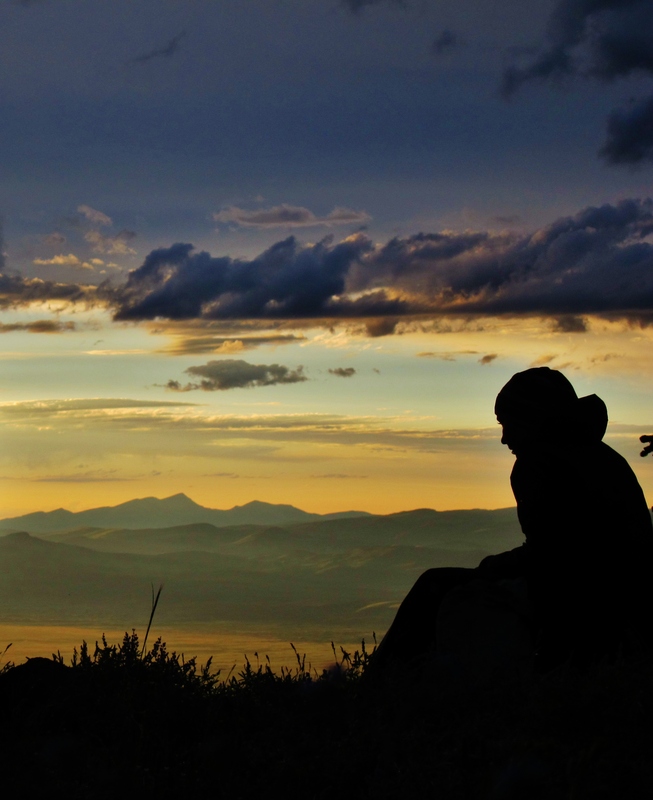 That said, Kristin had never been camping – a prerequisite to a 2,100 mile AT through hike. 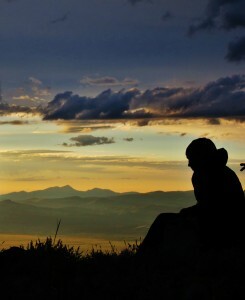 So…Kristin hiked Vermont’s 272 mile Long Trail, then she hiked the AT. 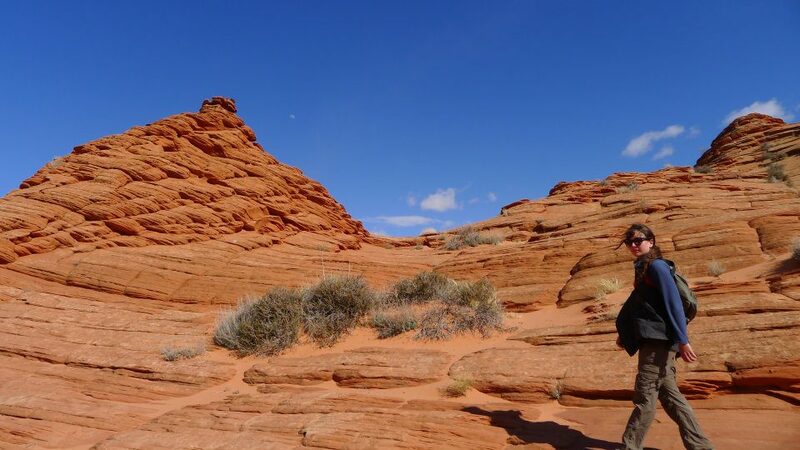 She decided she liked long-distance hiking, so she kept going and hiked the 2,650 mile Pacific Crest Trail, then the 3,100 mile Continental Divide Trail, and then several other long trails, including the 800 mile Arizona Trail. To parents reading this, Kristin did finish her degree at Colby College. After college, she ended up in Coldfoot, Alaska and worked as a river guide (which she had never done), then a dog musher (also not a course she took at Colby). In my mind, Kristin had already lived enough adventures for several people. So what do you do next? How about hiking and pack rafting the 1,000 Brooks Range in Alaska, alone…where there is no trail, but does have grizzly bears and wolves to guide you! And, as Kristin points out, you don’t have to pack a flashlight in the summer because it never gets dark. I guess that saves some pack weight that you can be used for bug netting that you will need. 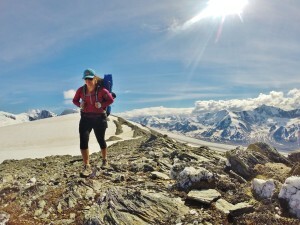 Because there is no trail through the Brooks Range (“the Big Wild”), Kristin had to plan a route through the range. 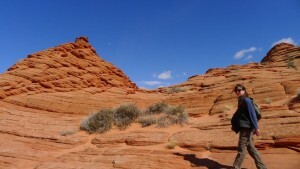 Her route called for 700 miles of hiking and about 300 miles of pack rafting. She had to coordinate supply drops for the first 300 miles with a bush pilot. She started her trek with the bush pilot letting her off within sight of a grizzly feasting on a caribou. At least the bear would be full and not looking for dinner. The 1,000 mile adventure took 60 days and included supply stop-overs in several very small towns, including Anaktuvuk. 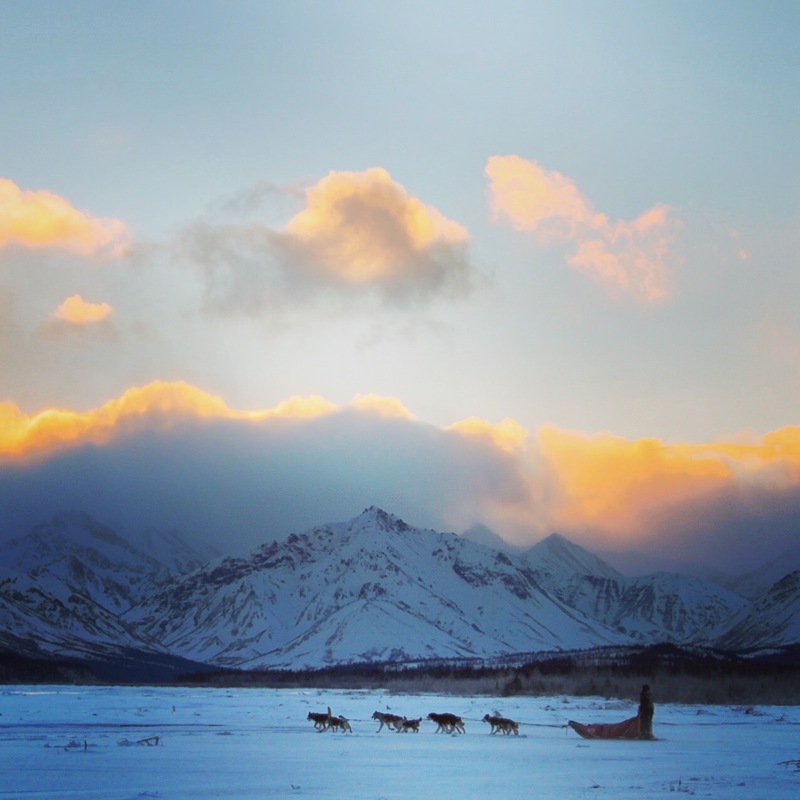 Anaktuvuk (which means place of many caribou droppings) is the town where the last nomadic people in Alaska settled. Kristin is a very engaging speaker – great stories, informative, and entertaining. She covered so much more than I’m repeating here. I’m sure she will cover what I have missed in the book or two she has in her. Kristin’s next adventure is to snorkel the Northwest Passage with a group of other adventurous women. I kid you not. If you would like to learn more about Kristin and her adventures, please visit her website/blog at www.milesforbreakfast.com. There is a link on the homepage where you can help fund her. There is no one better through whom to live vicariously. I was going to write a post about my 9 mile hike looking for a Snowy Owl that wasn’t there, but that all seems anticlimactic after listening to Kristin’s adventures. I guess DonutsforBreakfast just can’t compete with MilesforBreakfast. Thank you Kristin for sending me the photos that I have included in this post. Best wishes for many future adventures. Katie and Maddie, don’t even thing of hiking across Alaska alone! Maddie, you are allowed to dog mush with proper supervision.